The Dubai hospitality industry is set to grow exponentially with over 25,000 rooms joining the market by 2020. 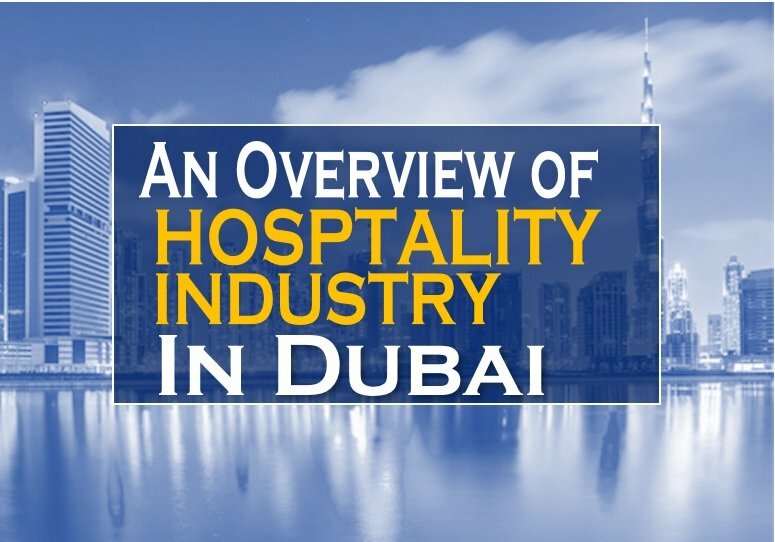 In this post, we provide an overview of the hospitality industry in Dubai. If you are planning to travel to Dubai or work in Dubai in the hospitality industry, you are with the tide. It is due to this growth that even hospitality Jobs in Dubai have seen a dramatic rise in the past decade. Travellers have flocked to the city and the hospitality industry of Dubai has seen new heights in the past decade. So, what’s in store for the hospitality industry of Dubai in the next few years? We have a lot of information about the Hospitality industry of Dubai in this post. Dubai; a shopper’s haven, an adventure lover’s must-visit destination, a cultural dynamism hub and where the impossible is possible, with such a distinguished hotel industry, is it the new world? With the number of rooms soaring beyond the proverbial 100,000 mark, Dubai’s hotel and hospitality sector are poised for greatness. A lot of upcoming beach hotels in Dubai are a testimony to the sustained growth of the hospitality industry in Dubai. Did you hear that Dubai’s Hotel industry might see a slump after the World Expo 2020? You might be grossly mistaken. According to the Gulf News report, KPMG’s studies reveal that the Hotel industry of Dubai would sustain well after the World Expo 2020. This is because of several theme parks, medical tourism among a few catalysts that might help sustain the industry. At the moment, the industry’s motivation is to firmly and strategically position itself among the leading ten global destinations where room availability isn’t a problem. And, the recent happenings including the achievement of such a worthy feat indicates a spur in the number of international tourists. It isn’t the number of hotels alone that is making Dubai’s hotel industry a rapidly burgeoning sector. Hotel Jobs in Dubai are becoming easier to come by. Just this year, over 5000 rooms are being added to the hospitality sector. So, if you are looking for hospitality jobs in Dubai, you have a better chance to get into this new hospitality world. Just hit the Search Jobs button in the menu above once you are ready to explore hospitality jobs in Dubai. Read on to know more about the Dubai Hospitality industry before you start looking for job opportunities in Dubai. Are you aware of the current number of rooms in the hotel industry of Dubai? The number mentioned above joins the 64,200 rooms already available in the emirates according to 2015 figures from real estate investment and advisory firm JLL. While this growth is substantial it will only become greater in 2018, adding close to 10000 rooms each year. Finishing off the estimated growth in 2019 with a final 5,900 rooms. This brings the total tally from 64,200 up to 91,200 by the end of the year 2016. The number has already touched the magical 100,000 figure in the first quarter of 2017 if we include the Hotel apartments. You probably know that a gigantic number of the planet’s crème de la crème hospitality facilities are right in the heart of this thriving economy. But it is the ever-expanding leisure, events and attractive locations that are partly to blame. The fast-rising demand for skilled labour-force is, without a doubt, the best testament that indeed Dubai hospitality industry is gravitating towards greatness. The emirate is a destination known for her massive oil and gas volumes, but the tide is subtly changing. The country’s hotel sector is literally driving the job market as some of her oil reserves continue to wane. Not even the presence of such names as Burj Al Arab, Waldorf Astoria, Burj Khalifa, The Ritz-Carlton, One&Only Royal Mirage and the many star-studded names can stop the emergence of other new hotels in Dubai or in UAE in general. Hong Kong’s Mandarin Oriental hotel is the latest name, same as Starwood. And, with the entrance of such notable brands, the hospitality industry in Dubai is slowly taking over the world by storm. How attractive has been Dubai for Tourists? The Dubai hospitality market has a lot to attribute to it’s founding success this year. An estimated 50 million people visited the Gulf region in 2015, allowing the Middle East to outperform most of the other regions. According to the Official Website of Travel and Tourism of Dubai. However; the “sudden and dramatic fall in the oil price has led to a decrease in high spending visitors to the region as well as the devaluation of the euro against the dollar has led to a drop in visitors in the Eurozone.” –Philip Shepard, a partner at PricewaterhouseCoopers. Both Shepard and JLL mention the recent gulf news of the 2020 World Expo as a strong contributing factor for this growth. These events taking place in Dubai are a huge Tourist attraction for the coming years. What is in the future for the Dubai Hospitality industry? Dubai based Hospitality Management Holdings (MHM) CEO Laurent A. Voivenel believes that budget hotels, such as the Emirate, needs more budget-friendly rooms over high-end rooms in order to attract and diversify the options for budget-conscious tourists. However, the same is not the case with mid-market hotels. Given the demand, investors can expect double-digit investment (of around 10 to 12 per cent each year) with the right product and the right location. While current occupancy for the area may be estimated lower for the coming months, the forecast shows a dramatic increase in tourism for the next few years. Whether you love wild desert adventures, basking, parties, tours down the emirate’s historic location, fun at the sporting centres or anything, Dubai is far much more than just that. Along with the limitless of unexplored historical features, Dubai is celebrated for being the planet’s major shopping hub. Warm weather throughout the year and a plethora of leisure and relaxation amenities offer a perfect excuse to fly there, as well. From IMG’s haunted hotel in the theme park to Luxury Floating homes and everything in between is what can be expected out of the hotel industry of Dubai. And while the hospitality sector in Dubai may appear a bit sophisticated, it is said to be as simple as browsing the web. Luxury hotels of all types, similar to boutique hotels, budget hotels and those with the region’s authentic touch colour the mainstream. But that is not the real news as the country’s Department of Tourism and Commerce Marketing expects more brands to set camp in the near future. As per reports from Deloitte consulting, Dubai is targeting over 20 million tourists annually by 2020, a factor that is pushing the industry to the limits. Dubai Hospitality Industry is set to see new heights in the future. The government is doing all it can to make the dream a reality, and so far, the results are impressive. With 2017’s hotel occupancy growth of a whopping 77%, achieving the 20 million tourists figure by 2020 isn’t so hard. But so far, it is safe to mention that Dubai hospitality industry is the new world in every sense of it! So, whether you looking for hospitality jobs in Dubai or are travel enthusiasts, the hospitality industry in Dubai might have a fair share of your time and career in the future.